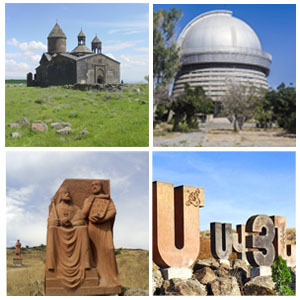 First settlements in Garni area date back to the 3rd millennium BC. In the 8th century BC Urartian King Argishti I conquered the region and erected the fortification of Garni. During the reign of Trdat l the Temple of Mihr (Mithra) and the Bathhouse were built. 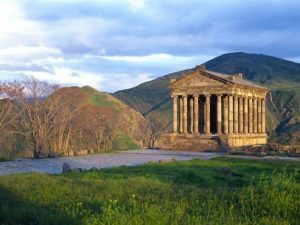 The structures of Garni (the temple, bath-house, residential block and other structures) combine elements of Hellenistic and national culture. 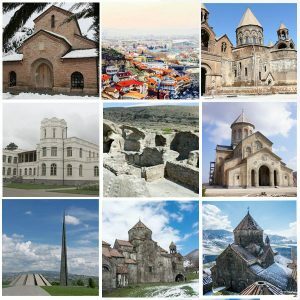 After the adoption of Christianity in 301 AD, the complex became the summer residence of Princess Khosorovdukht, sister of Trdat III. 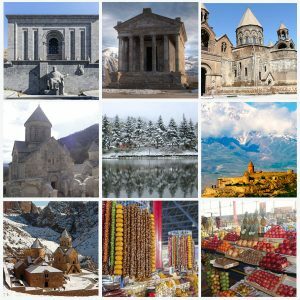 Garni temple is the only Greco-Roman Colonnaded Building on the territory of Armenia or any other former Soviet Union republic and the best-known structure and symbol of pre-Christian Armenia. It was ruined in 1679 by an earthquake and was reconstructed in the 1930’s. The Roman-style bathhouse features 4 successive rooms.The lobby has a pool set within curvilinear delve and is decorated with gorgeous mosaics of various deities, mermaids, and fish-centaurs among other creatures. The 15-color mosaic represents a monumental painting of pre-Christian Armenia. The other 3 rooms are bathrooms; each used to be fed hot, warm or cold water, through a complex piping system, coming from the water reservoir, located in the northwestern part of the bathhouse. 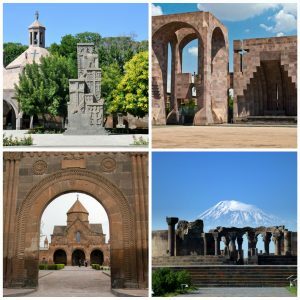 Garni palatial complex is located on the territory of Khosrov State Reserve, in a picturesque mountain locality, on the edge of a triangular cliff. 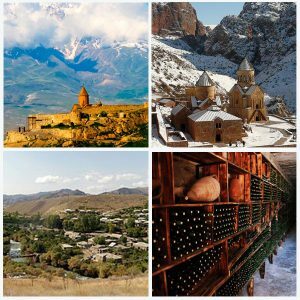 It’s in perfect harmony with the surrounding nature and opens onto a broad panorama of orchards, fields, varicolored mountain slopes, and jagged and precipitous canyon of Azat River.